Interior decoration is incomplete without beautifully painted walls. People spend a lot of time and money on decorating walls with paint. Paint is a versatile finish which protects as well as decorates your house. Proper wall decoration is very important as it can completely change the look and feel of a room. The general appearance of a painted surface after drying is called paint finish. Paint sheen is about how much light is reflected from the surface of the paint when it dries. There are different types of paint finishes available in the market in different paint sheen. You can select the paint colour with suitable paint finish and paint sheen to decorate your walls. The level of paint sheen and the type of paint finishes you choose has a significant impact on both appearance and serviceability. Here we have given information on various types of paint finishes and paint sheens which a homeowner must know, before painting the walls of the house. The appearance of a paint system obtained by using materials so formulated that cracks develop in the last coat during drying, exposing the undercoat in a more or less regular pattern is called crackle finish. A coat of clear polish is subsequently applied over the whole surface. To obtain long cracks, paint is applied using long brushstrokes and to obtain small cracks, small brushstrokes. It is a rough finish, deliberately produced, which may be achieved, for example, by the use of paints, the film of which remains in the plastic state sufficiently long to permit their being worked out into pattern of low relief, or by the incorporation in the paint of some coarse materials, such as sand or stone chippings, which automatically produce a rough surface. Textured finish is the most commonly used type of paint finishes as it gives a luxurious look to your walls. Wrinkle finish is defined as a finish in which the paint is intentionally made to develop ridges or wrinkles on drying. A paint containing metallic flakes and fine transparent pigments which appear as a variety of colours when viewed from different angles. This type of paint finishes is produced by application of special lacquers or paints which contain metallic powders in flake form, in addition to transparent pigments. Polychromatic finish does not have any shine. The overall paint gets shine depending upon the base coat. A finish produced by certain coloured paints containing a metal powder which on controlled spray application, dry with an appearance similar to hammered metal. Paints with hammered finish are made by adding metallic pigments such as powder of mica, aluminium or bronze. This type of paint finishes gives an ideal look to design your decor with industrial style of interior design. Also Read: 7 Key Features of Industrial Style for Your Interior! The finish produced by application of a glossy, transparent, coloured finishing coat over a bright metallic surface is called flamboyant finish. Lacquers, which include in their composition materials which crystallise out from the medium as the solvent evaporates. Materials in which advantage is taken of the tendency of certain drying oils, notably tung oil to ‘frost’ or ‘crystallize’when dried under certain conditions. There are various paint sheen scales available and each has their own characteristics. Different sheens are used for specific rooms due to their performance, features, and aesthetic qualities. Higher the sheen, higher the durability of paint. It has the least amount of shine because it is low-sheen paint with a non-reflective finish. This type of paint sheen is most commonly used for interior wall paints. Matte finish gives a calm and serene feeling, because of its textural element. Flat or matte finish is the perfect choice for living room, dining room, bedrooms, etc., where traffic is low. Eggshell finish is similar in appearance to the surface of an egg. It has a soft, velvety appearance. It is slightly more lustrous than the flat finish. The eggshell finish does not highlight imperfections quite as much. Eggshell finish is the perfect paint sheen for dining room, children’s room, etc. Satin finish retains pearl like sheen when dry. It reflects more light than the matte finish. The walls with satin finish are washable and scrubbable. They can be easily cleaned by washing or rubbing cloth to remove the dirt. A satin finish is mostly used in family room, playroom, laundry room, dining room, children bedroom, trim and doors. It reflects the most light when dry and provides bright sheen. It has a slightly glossy appearance and is less reflective than glossy paints. Semi gloss finish offers excellent stain resistance, are easy to clean and maintain. Semi gloss finish is best paint sheen for doors, windows, trims, moldings, hallways, cabinets, kitchens and bathrooms, walls or ceilings with little to no blemishes. It is the highest level of sheen and highly reflective appearance imparting a slick and contemporary look. It has a glass-like finish. Gloss finish can perform very well in high traffic areas. 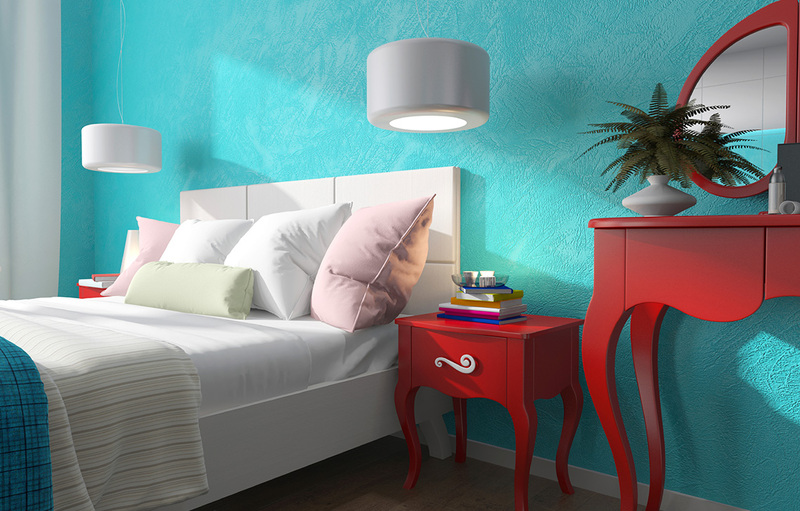 For rooms where natural daylight is restricted, gloss finish paint can help in the lightening of the room. The above information will help you in the selection of the paint finish and paint sheen for your home. The selection of right paint finishes and the paint sheens during first paint will help you from the hassle of having to repaint. Is Removing Old Paint Necessary Before Applying New Paint? Types of Paint Brushes for Different Painting Jobs! Next PostNext Adhesive or Mortar: What is Cost Effective to joint the AAC Block? Indoor Garden TKM Landscape Indoor Plant Care: Tips You Must Know!